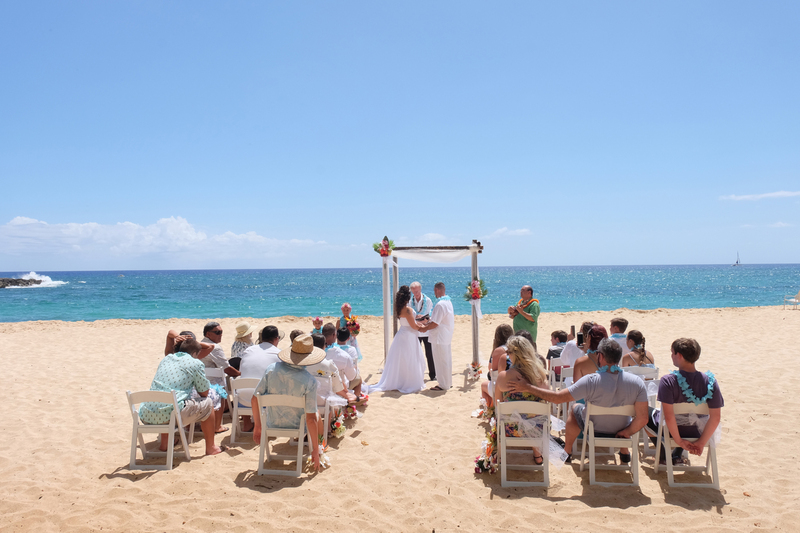 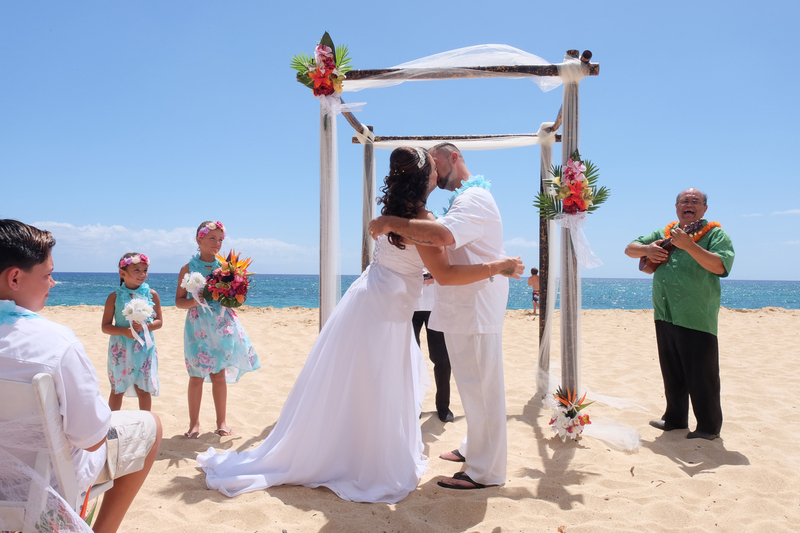 Joshua and Amber renewing their wedding vows at Papaoneone Beach in Makaha, with Arch and Chairs for their wedding guests. 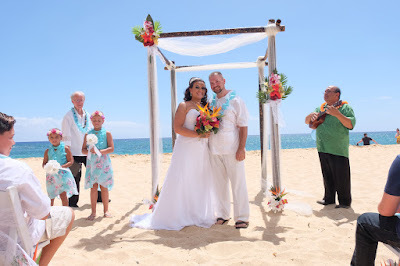 Ha'a plays Hawaiian music on his Ukulele. 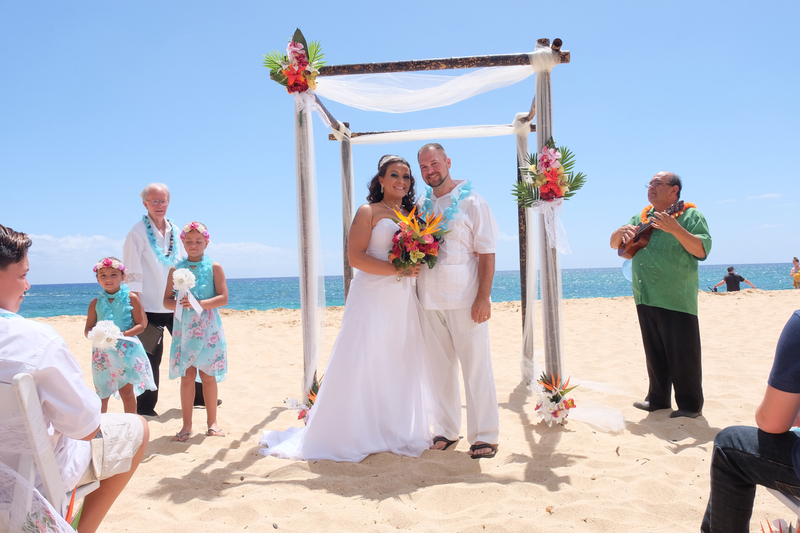 Lovely touch for a Vow Renewal in Hawaii. Friends and family gather to wish them well. 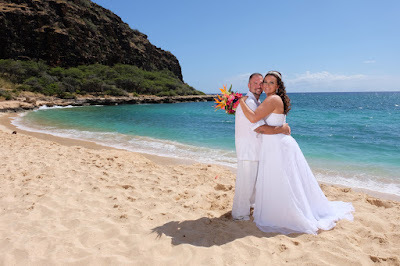 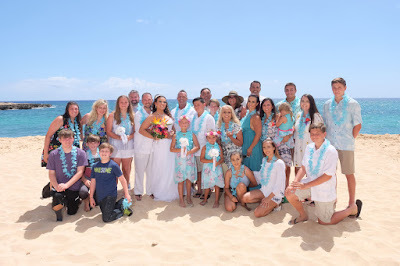 Call Bridal Dream Hawaii at 808-924-3600 for your wedding coordination in Waianae, Makaha, or West Oahu.